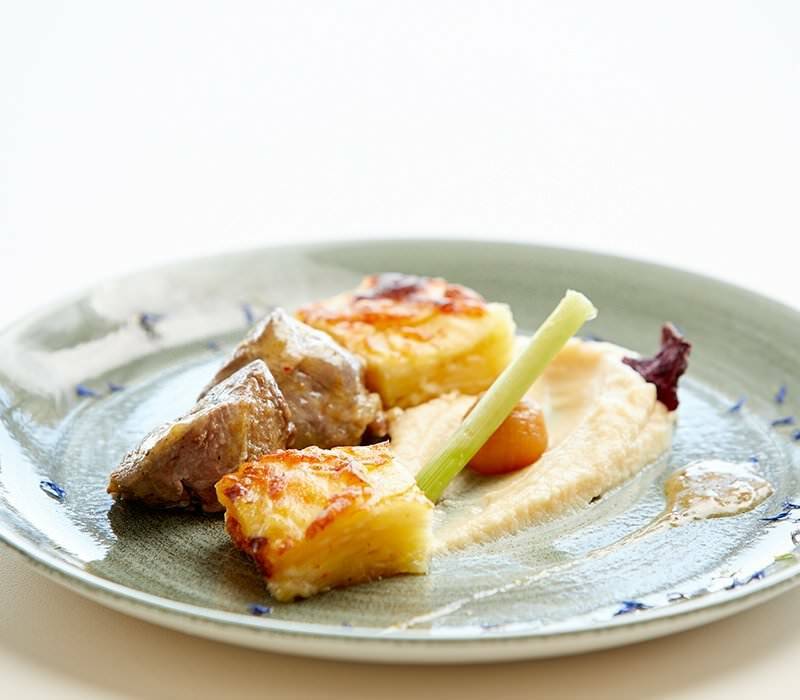 We believe that wining and dining should be a highly enjoyable part of your holiday in Greece. 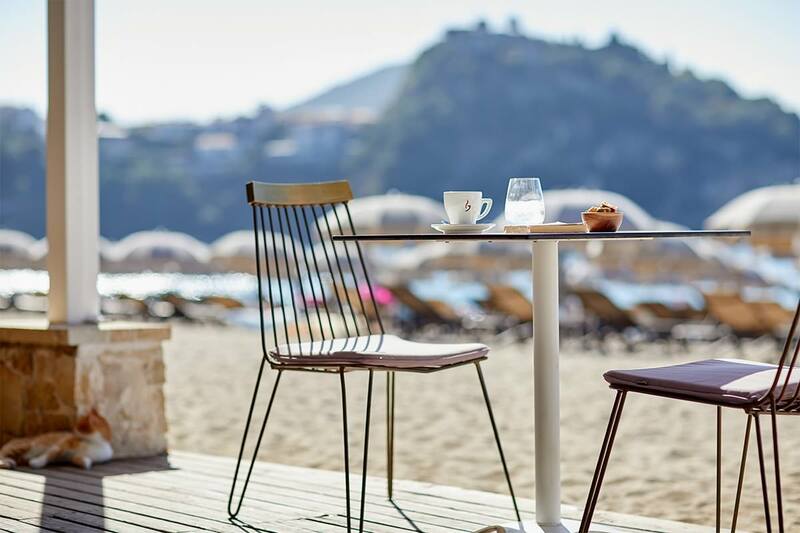 At Parga Beach Resort, you can enjoy an exceptional dining experience or a great selection of snacks and drinks just a few steps away from the seaside on Valtos Beach. 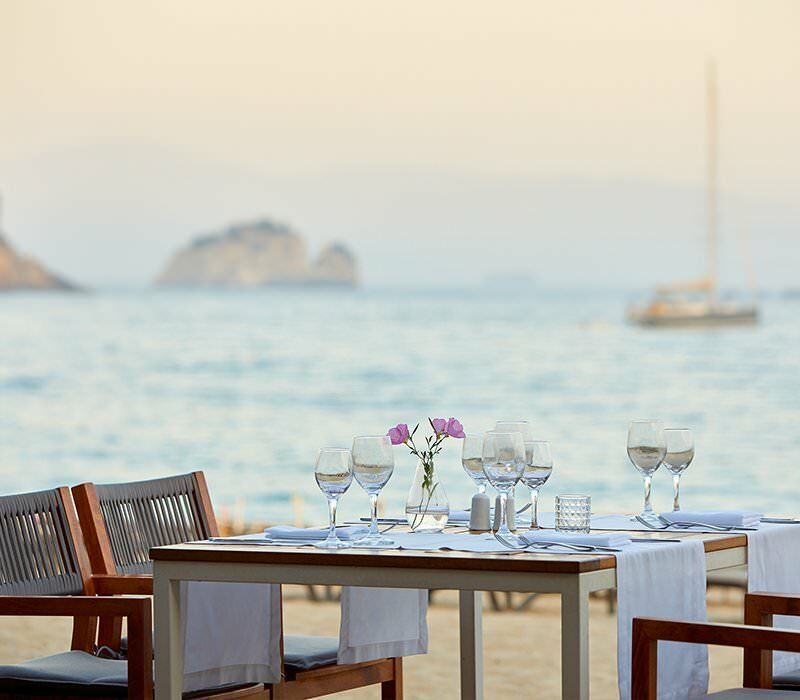 If you’re looking for a seaside restaurant in Parga, you won’t even have to leave the resort: just stroll down to the beach to discover Thalassa, our seaside restaurant that serves a delectable assortment of dishes representing Greek fusion cuisine. Enjoy your meal by the sea with unique flavors, live music in the evenings, and special theme nights every week. 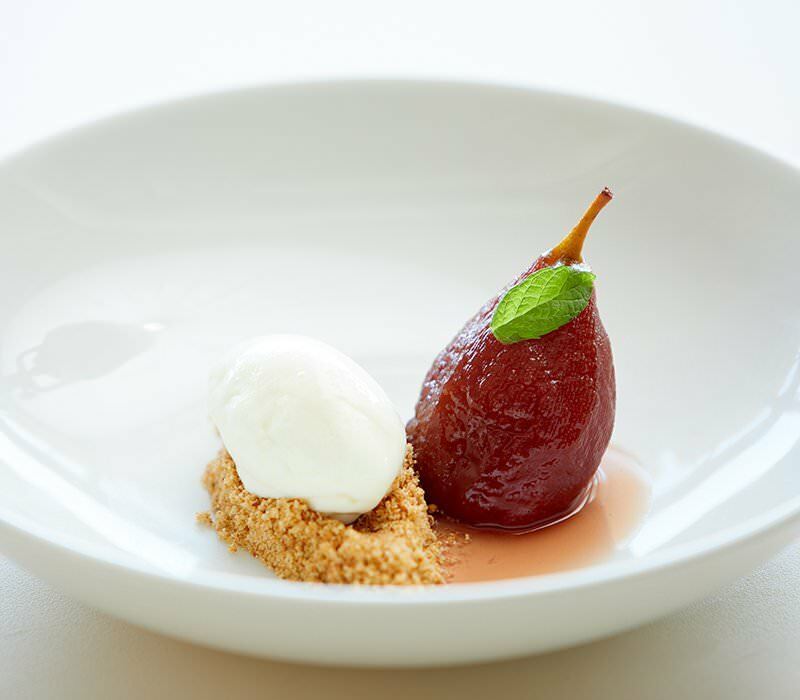 For special occasions, we can also arrange private dining for an exclusive gastronomy experience designed just for you. If you want to spend you holidays lounging on the beach, we have you covered: our beach bar, Ammos, serves delicious snacks, coffee and refreshments, drinks and cocktails, all day long. Just lie back on our comfortable sun loungers and take advantage of our beach service, to have your order delivered to you on the beach. 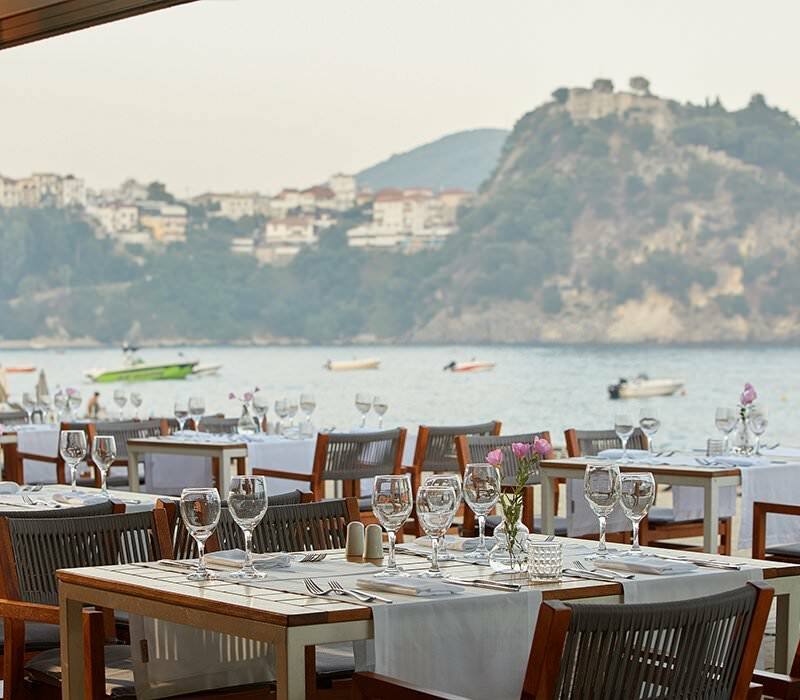 At our beachfront restaurant, Thalassa, dining is elevated to a unique experience, in a picture-perfect seaside setting with a view of the beach, the Venetian Castle and the town of Parga. 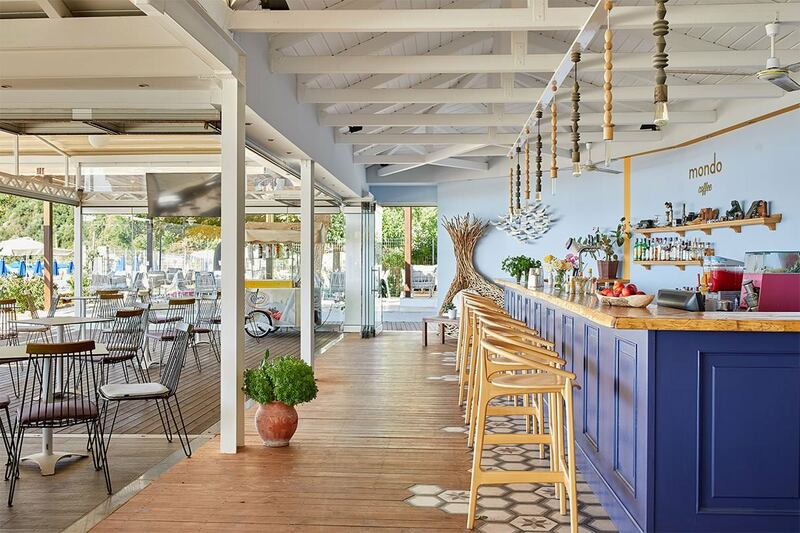 In one of the best restaurants in Parga, discover a Greek fusion menu that incorporates traditional favorites such as Greek meze dishes, flavorful dishes with the freshest fish, and mouth-wateringly tasty rib eye. Accompany your meal by the sea with a choice from our considered wine list, which offers a variety of choices for every taste including an extensive selection of Greek labels. If you want to combine dining with entertainment, our weekly theme nights are ideal. On Greek Night, we serve a buffet of delicious traditional Greek recipes, while the live music and dancers will have you out of your chair as soon as you’ve finished eating. On Barbecue Night, enjoy the best meat on the grill and let the sounds of our jazz band transport you. Thalassa is open daily for lunch and dinner. If you’re celebrating a special occasion or you want to create one-of-a-kind memories, private dining is available by arrangement. Choose your preferred location – on the beach or in the gardens – and let us arrange the most exclusive gastronomy experience for you and your companion. The best part of a Greek summer holiday is spending your days lounging on the beach – so we bring beach service to you, for drinks or a quick meal by the sea! Ammos Beach Bar is located right on our award-winning Valtos Beach, in a relaxed setting where you can enjoy coffee and other beverages and refreshments, drinks, and a variety of snacks. 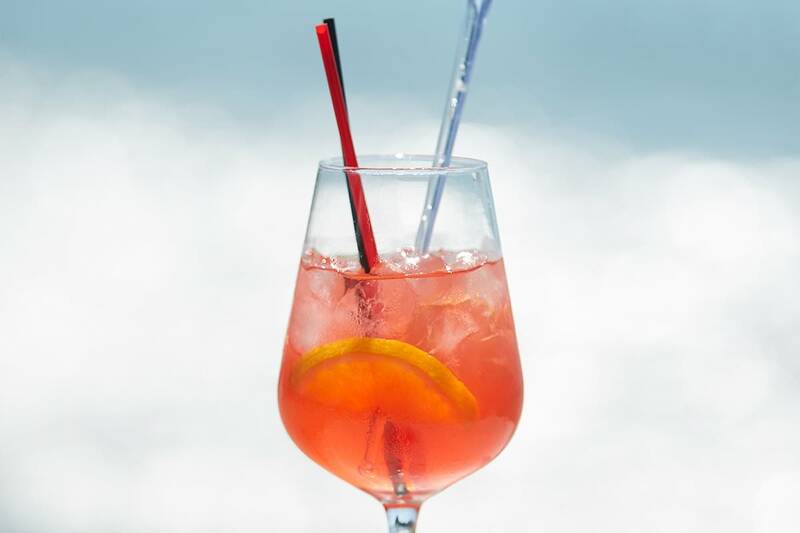 Our special cocktails, refreshing juices from fresh fruits of your choice, sophisticated teas, and cool Prosecco are only a few of the options. Just lie back on your comfortable sun bed and enjoy your drinks and snacks order from Ammos delivered right there on the beach.